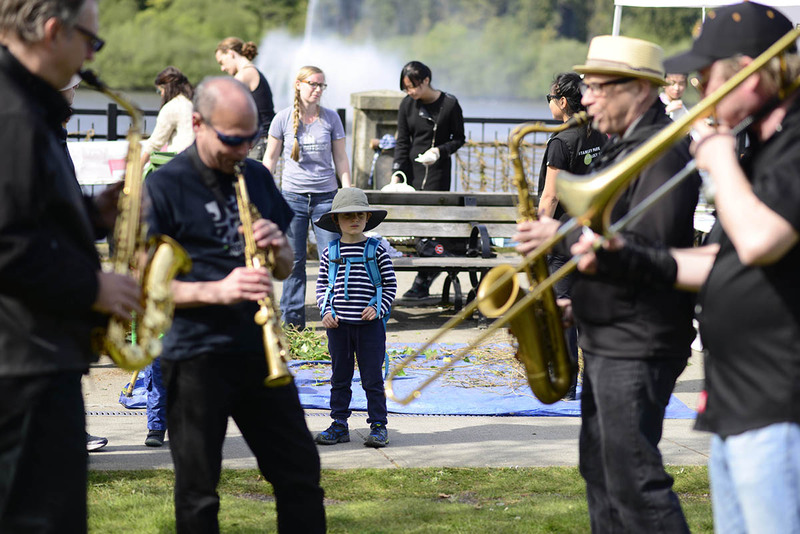 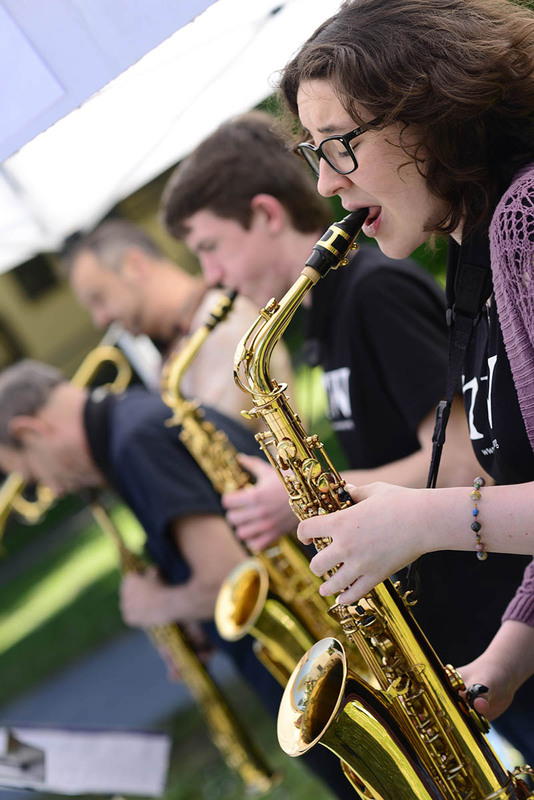 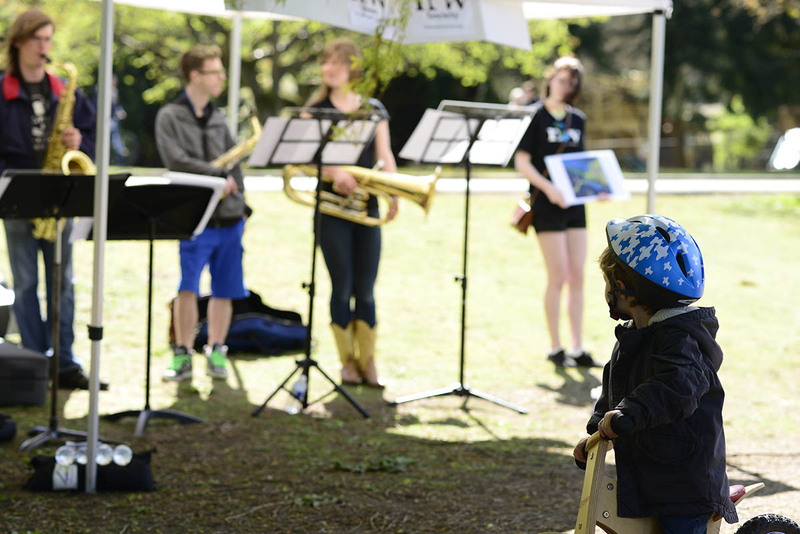 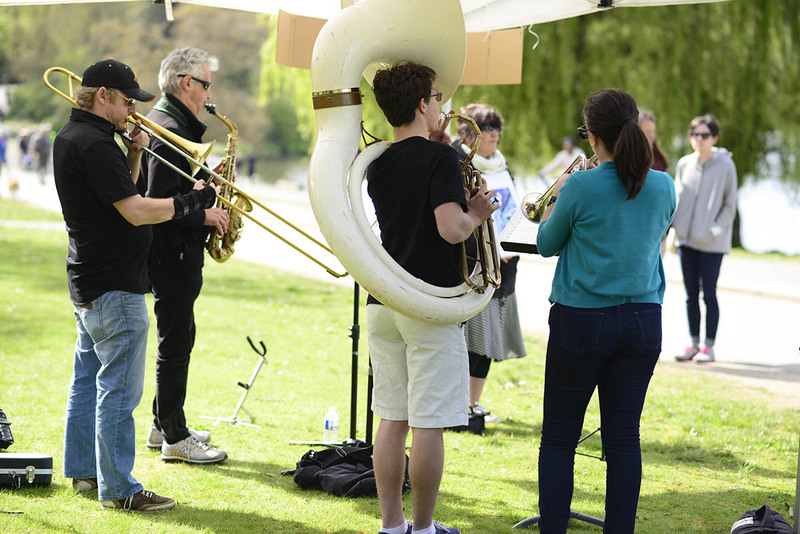 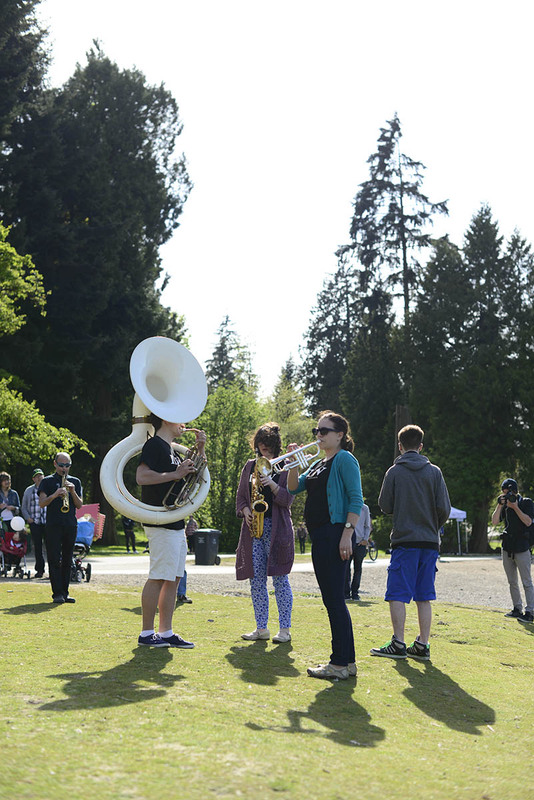 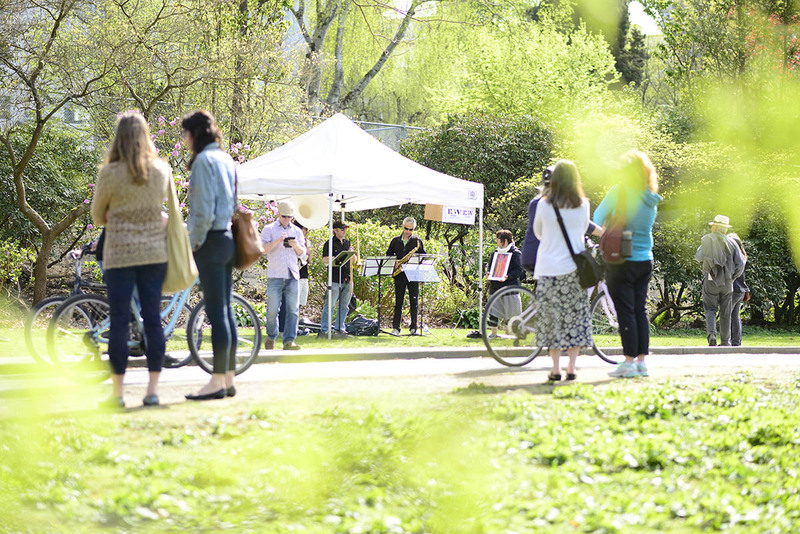 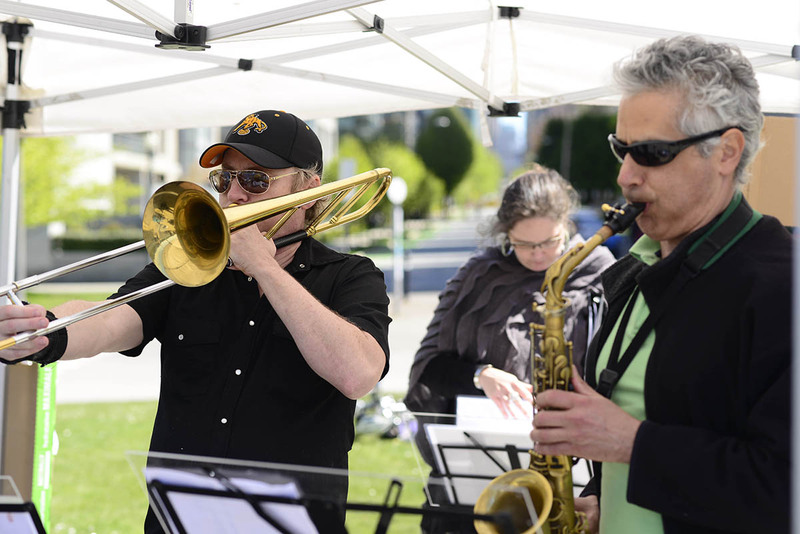 On April 19, 2015, the NOW Society partnered with the Wild About Vancouver Festival to produce an intergenerational performance with students from the New Westminster Secondary School, NOW musicians and the public in two outdoor performances in Stanley Park. 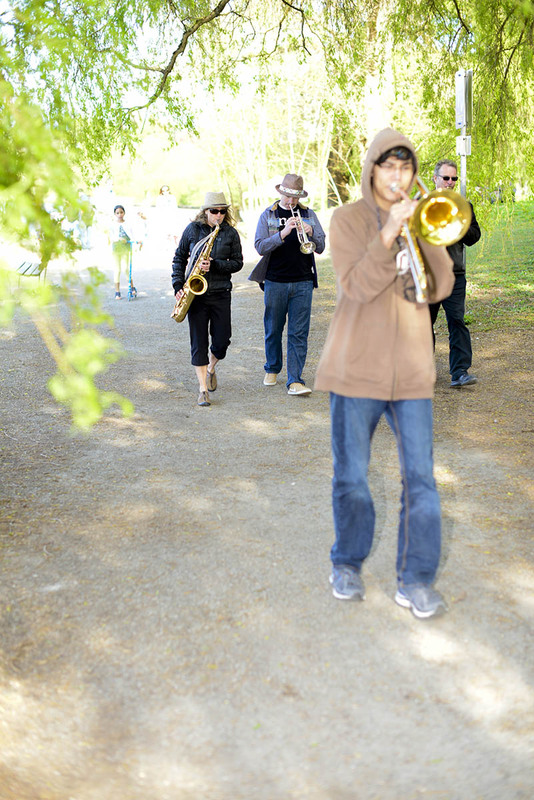 NOW in the trees featured NOW Artistic Director Lisa Cay Miller's musical score as an interpretation of Lori Sokoluk's Landscape paintings. 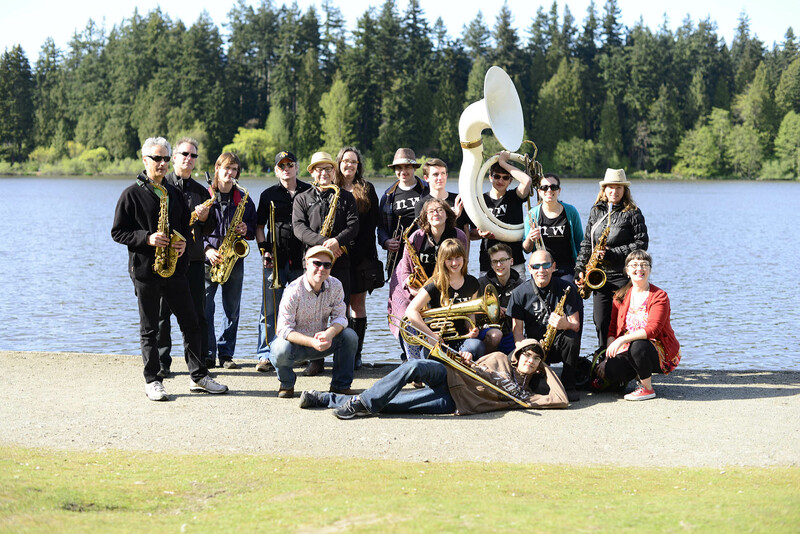 In preparation for the performance, the NOW Society provided two workshops to young musicians at the New Westminsterd Secondary School, which focused upon improvisation, allowing them to create instantaneously with NOW masters in four separate quartets as well as blend in an ensemble of sixteen musicians along the South shore of the Lost Lagoon.